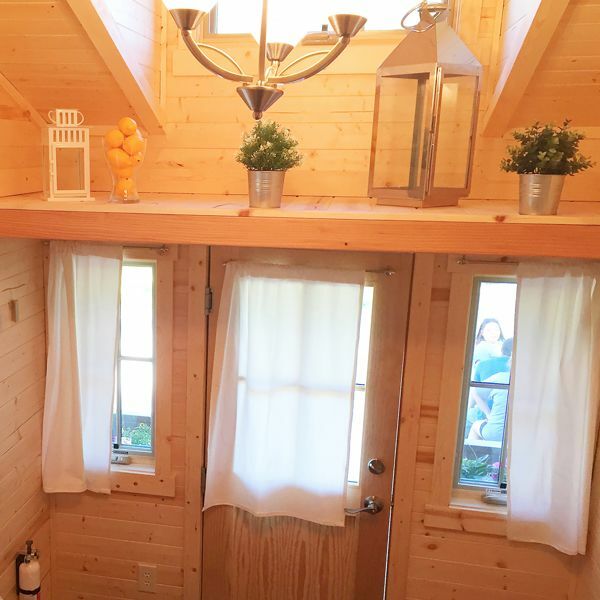 The Hanna is a 181 sq. 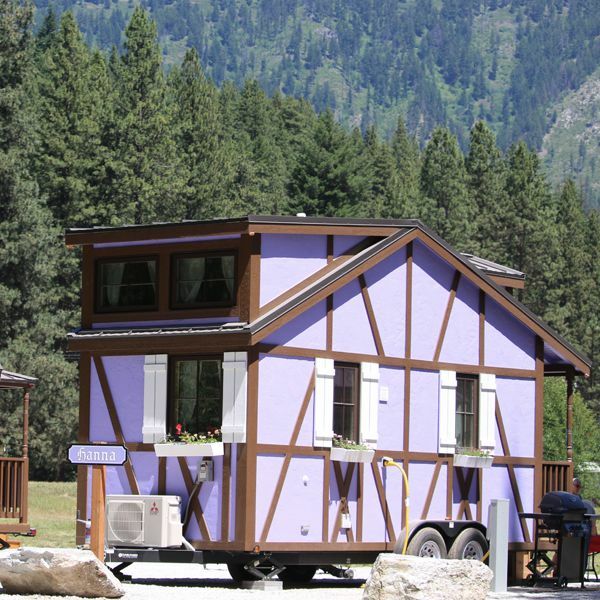 ft. Leavenworth RV Resort that is available to rent for $149/night! 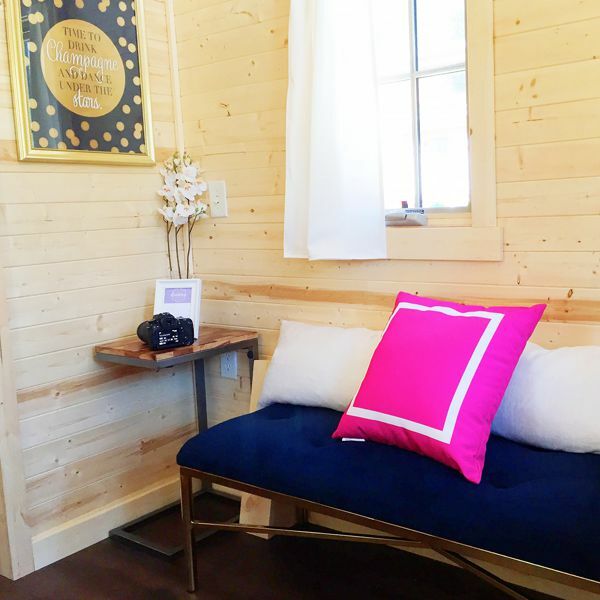 Once you walk into the house, you’ll be standing in the main living room furnished with a blue cushioned seating bench decorated with pink and white pillows. 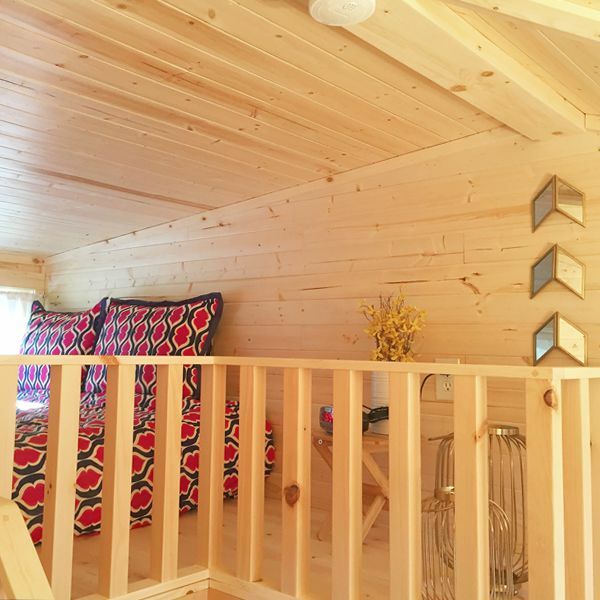 From the living room, you can view the stairs on the left leading up to the queen-sized, lofted bedroom. 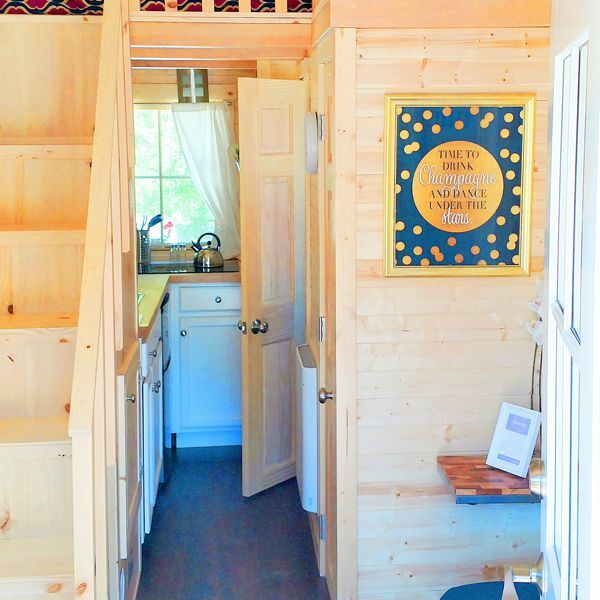 Straight ahead of the living room is the kitchen. 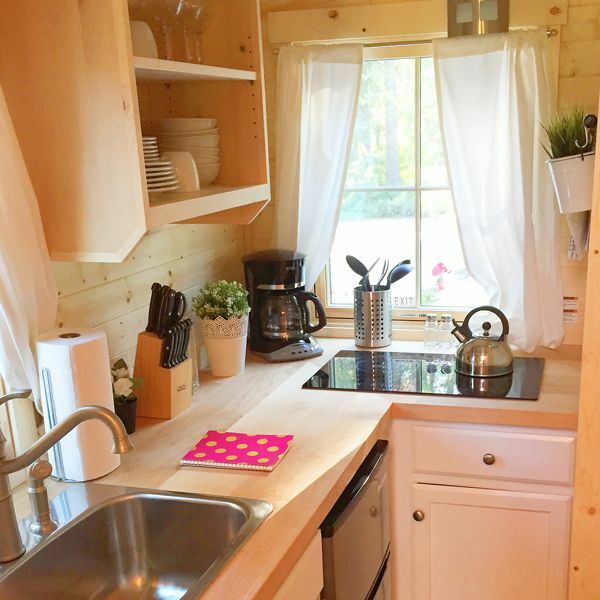 This space features wood countertops, a stainless steel sink, a refrigerator/freezer, an electric cooktop, white cabinetry and cooking accessories. 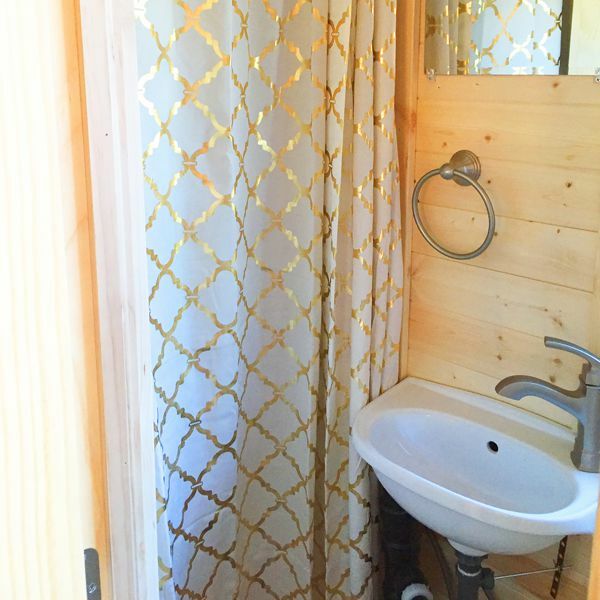 Across from the kitchen is a full bathroom featuring a white sink, walk-in shower and toilet. 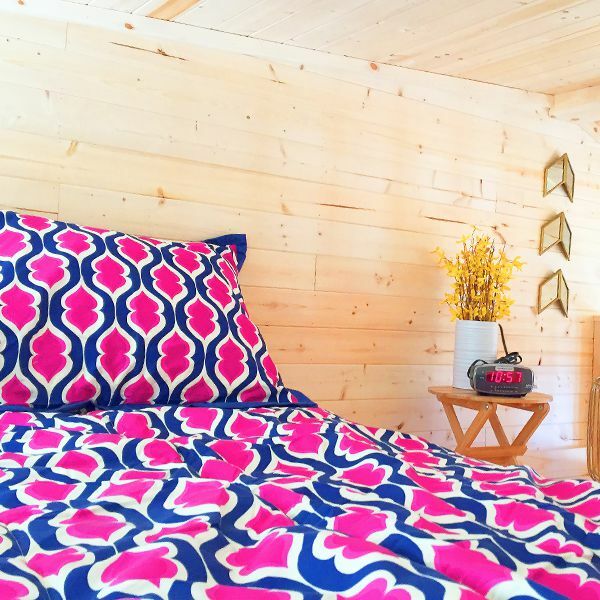 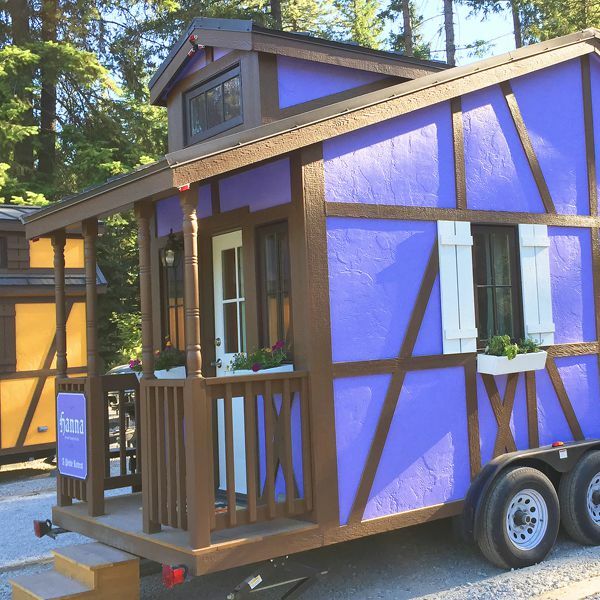 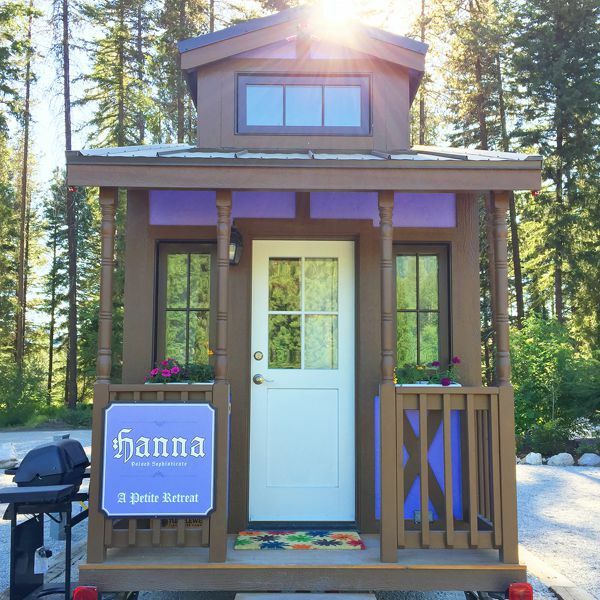 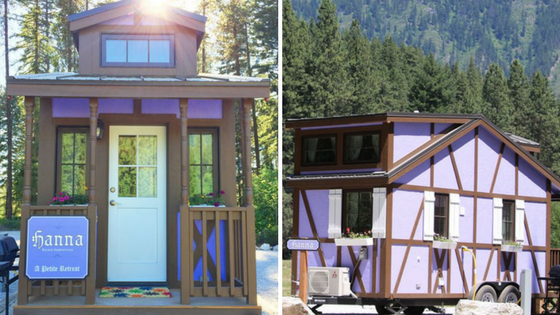 For more information on the Hanna tiny home, visit its page here!